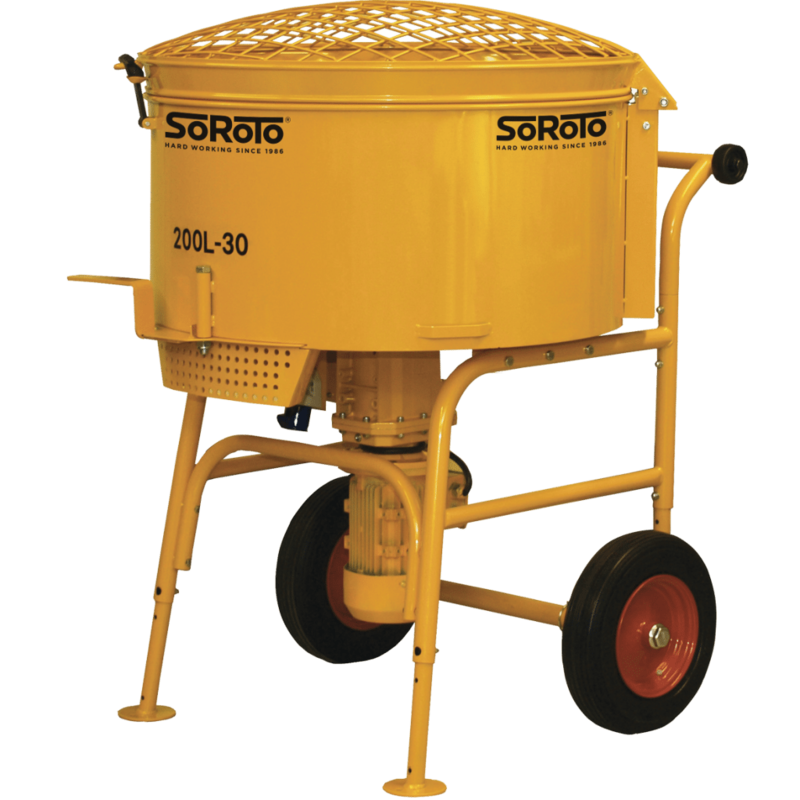 SoRoTo Mixers are the original machines and are still the best in the industry. Along with its specially selected 2.2kW motor and whilst still delivering 30rpm the mixer performs fantastically well in almost any circumstances when using the correct phase transform transformer. 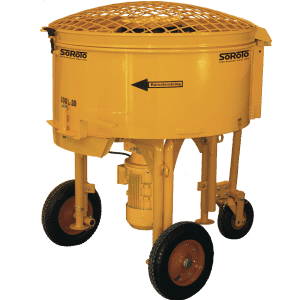 Unlike with other large mixers, this machine can be easily transported and used on slanted and hard to areas due to its adjustable legs. And with a service life of up to 20 years, being able to take the mixer with you on uneven surfaces will save you a lot of time. The 200L has just a 70 litre smaller mixing capacity than the 300L forced action mixer but is as easy to transport as the smaller mixers in our range. 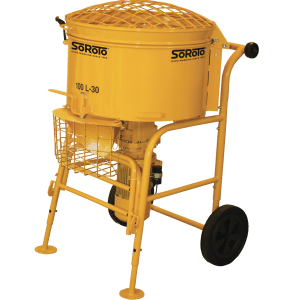 The 200L is also suitable for multiple jobs including but not limited to, Resin Bound Gravel, Concrete Liquid, Liquid Screed and Wet Pour Rubber. The versatile mixer will create great results from its first mix to its last. Opportunity to choose the steel blade system for mixing with glue or epoxy. Possible as a default or as an extra blade system. As the only UK SoRoTo repair and service centre in the UK, we don’t only sell machines but we provide spare parts, carry out maintenance and repairs on machines. To speak to our specially trained staff regarding mixers or issues then give us a call on 01246 589010. 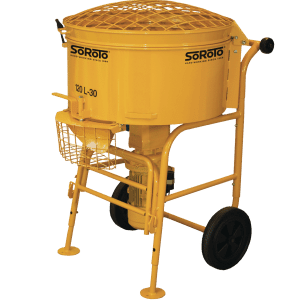 What Materials Can A SoRoTo Forced Action Mixer, Electric Mixer and Drum Mixer Mix?